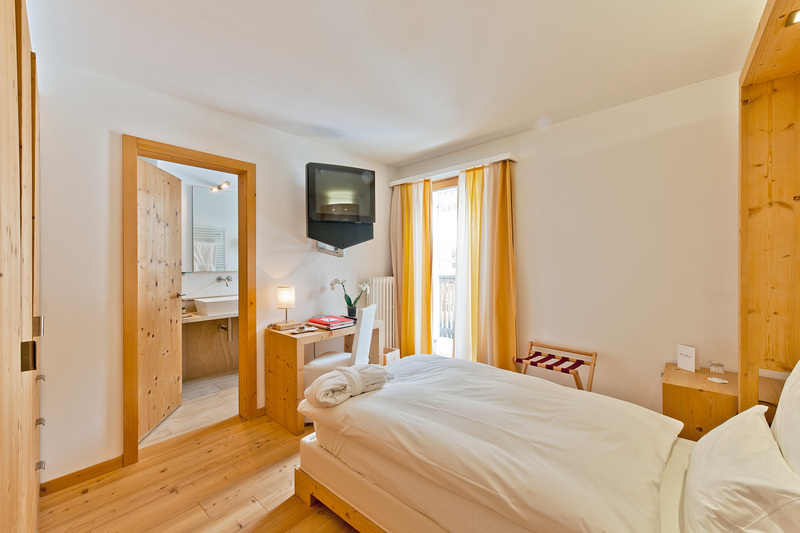 The Hotel Müller gives you the opportunity to stay in different types of Zen-style rooms providing a comfortable and relaxing sleep. 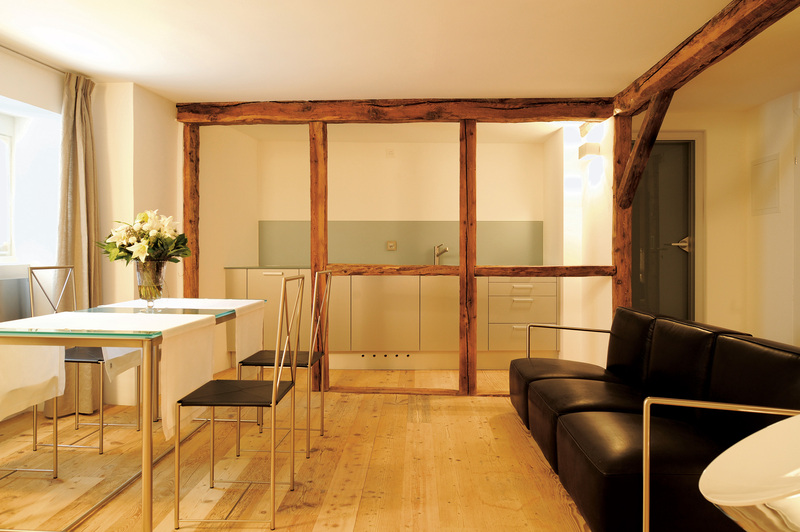 The pastel tones combined with natural materials create in each room a serene and enchanting atmosphere. 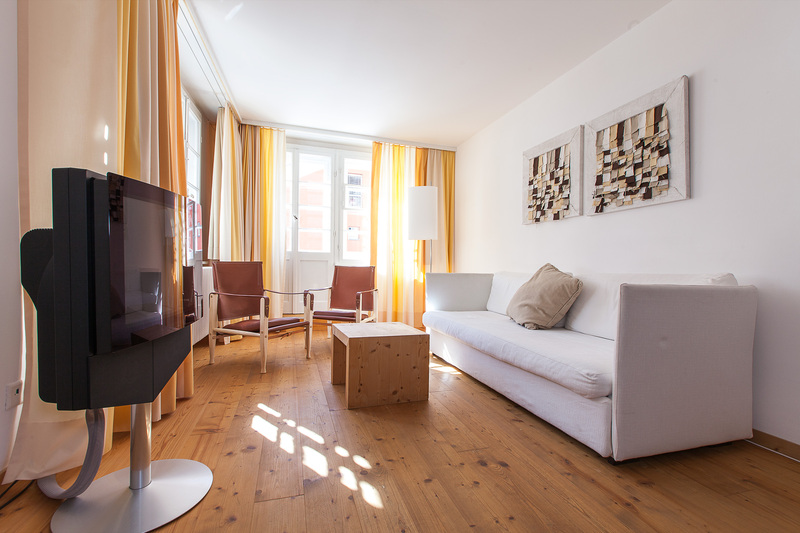 The rooms decorated in a modern design are equipped with every comfort. The beds are covered with luxurious and delicate sheets of the highest quality. 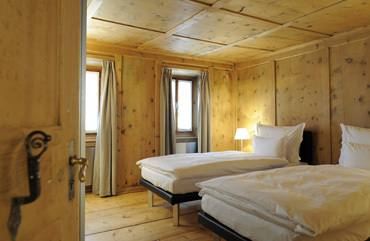 The hotel consists of 12 double rooms, 2 single rooms, 6 junior-suites and 3 suites in the Cà Rossa. For our guests we also have sauna, steam bath, whirlpool and small fitness center. All rooms are non smoking. 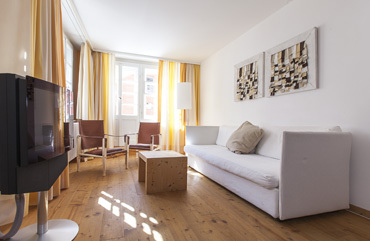 Single room (from 13.5 to 19.5 m2) furnished in Zen-style. Double room (from 17.5 to 25 m2) furnished in Zen-style..
Our Junior suites (from 34 to 50 m2) are decorated in a modern design and are equipped with every comfort..
Two Junior Suite Superior: both have an additional small single room, one with a single bed, the other with a bunk bed for 2 people. Both Junior Suite Superior have a terrace. The Cà Rossa, located opposite from the Hotel Müller, dates from the late 17th century. The entire house was remodel in the winter of 2008/09 and consists of two exclusive suites for families and a loft. The avant-garde design based on the contrast between antique and modern con be found in the architecture as well as in the interior decoration. 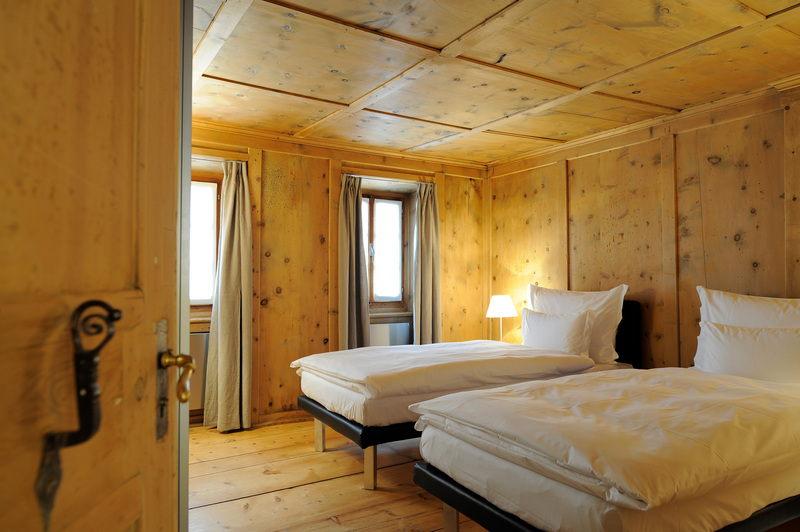 Characteristics of the two suites are the original wooden doors particularly low. At ground-level there is the sauna with the quiet room. The reception and breakfast room are located in the main building of the Hotel Müller. Pets are not allowed in the Cà Rossa. 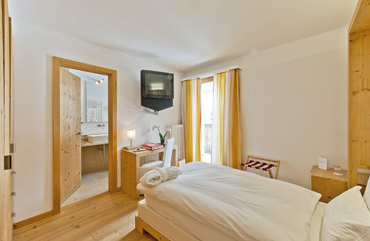 The Suite Harmony is located in the Cà Rossa opposite from the Hotel Müller. 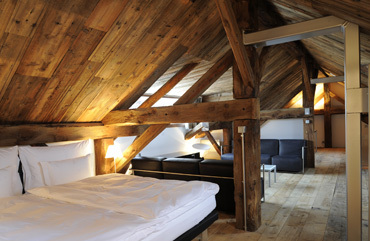 The Suite Satory is located in the Cà Rossa opposite from the Hotel Müller. 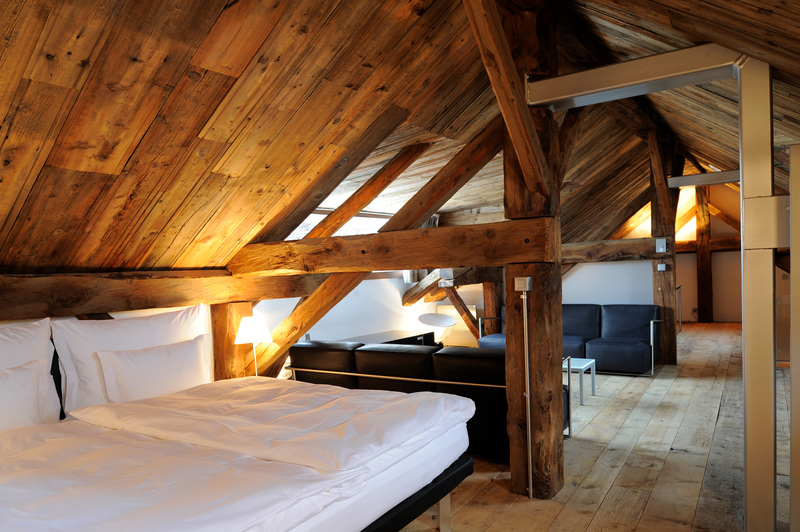 The Loft Kensho is located in the Cà Rossa opposite from the Hotel Müller..